3D Hobby Shop 84" BigFoot 150 Size (Shipping Next Week)!!! The BigFoot is 3D Hobby Shop's first high-performance, high-wing airplane. 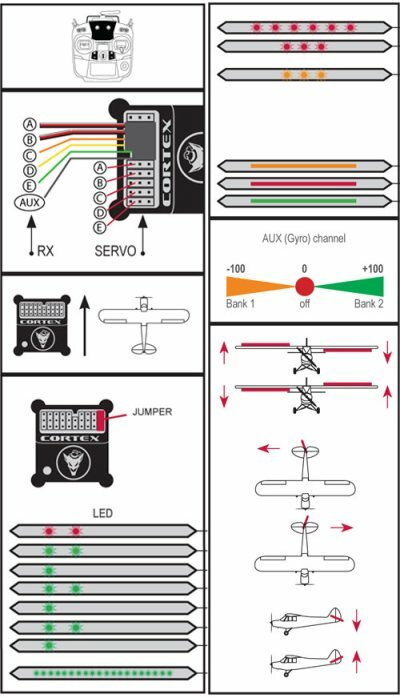 This amazing model will perform any maneuver traditionally done by Alaskan and Canadian bush pilots with the rugged, light, highly maneuverable aircraft they fly. Bush-planes rely on light weight, large wings, high power, and big flaps to do these amazing things. 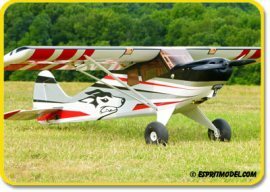 Because these extreme capabilities are very similar to 3D flight, the BigFoot fits right in to our 3D Hobby Shop lineup of extremely high performance model airplanes. The BigFoot has an 84" (2135mm) in wingspan and its bush plane shape was inspired by the designs of several of these epic aircraft instead of being an exact scale model of any particular plane. 3d Hobby Shop BigFoot is capable of a full suite of 3D maneuvers, including hovering, torque rolling, and rolling harrier flight. You will also enjoy how well the Bigfoot performs snap rolls, knife-edge flight, and many other maneuvers. NEW, NEW, Pulsar 2S Pro Sailplane, IN STOCK!!! The Pulsar 2S Pro Competition is the latest addition to the ever-growing Pulsar family of hand-made competition/sport sailplanes. The wing is a built-up Carbon Fiber D-box design that utilizes carbon fiber faced balsa ribs and a carbon fiber strip trailing edge. The rear section of the wing is covered with Ultracote. The fuselage pod is made of kevlar with canopy as well as tail boom made of carbon fiber. Virtually perfect, very well made and extremely clean. Sunracer Super V4 Pylon Racer, IN STOCK!!! 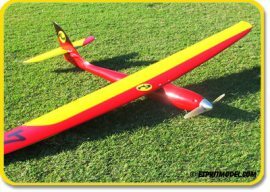 We would like to introduce a brand new V4 version of the compact, precision, full composite, hollow molded F5D pylon racer, that is totally prefabricated from the factory and virtually ready to fly. This is one of the most advanced and PRECISELY built models that we have ever seen. All surfaces are pre-painted in the molds for flawless external finish. Special competition versions with CF/Kevlar reinforced wing, shorter ailerons and pre-molded dual aileron servo bays. 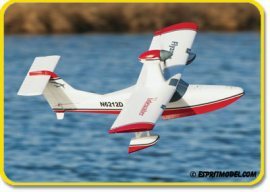 NEW, NEW, Tidewater Seaplane 15e EPP, IN STOCK!!! Make the Tidewater Seaplane your first or next float plane! 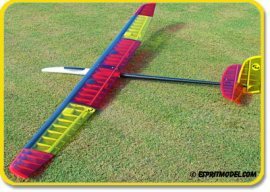 Fast to assemble without using glue, it boosts your confidence with predictable flight characteristics and easy water handling. Takeoffs are a snap, whether from water, grass or by hand. At full throttle, the Tidewater is fast and powerful. When it's time to land, just point the plane into the wind, reduce speed and keep the wings level, it almost lands itself! Flyzone captures the look of full-size seaplanes in the Tidewater's trim scheme. Tidewater fits fully assembled into virtually any car. If necessary, main sections can quickly be taken apart and reassembled at the flying site. The Jeti Model AFC connectors eliminate the flashes often witnessed when connecting controllers and battery packs. Available in 4mm and 5.5mm variants the female plug sports a SMD resistor that does away with the usual flashed that occur during connection and that can harm the surface of both the male and female plug. The sets contain two male connectors, a usual female and an AFC female connector together with red and black shrink wrap.